Although I have been in the marketing game for many years, I can count on one hand how many times the term “brand community” has come up in conversation. All of that changed earlier this year, when the Toronto Raptors were in the NBA playoffs for the first time since 2008. To celebrate, and promote Raptors as Canada’s Team, the team rebranded and launched “We the North” — a campaign that aimed to showcase the Raptors, Toronto, and Canada, in a way that NBA fans have been unfamiliar with. Think back to spring – the Jays were off to a weak start, and Canada only had one team in the NHL playoffs. Meanwhile, the Raptors were playing on point and Sid Lee saw an opportunity to take the city, and the country, by the throat and they redefined a brand. The first campaign video was released on social networks in the days leading up to the first playoff game on April 19th. Drake and Justin Bieber both retweeted the video, and in two days the video had 500, 000 views. That was the tipping point. Following the launch, the Raptors transformed from an irrelevant squad, to one that won the Atlantic Division and secured them a spot in the playoffs for the first time since 2008. 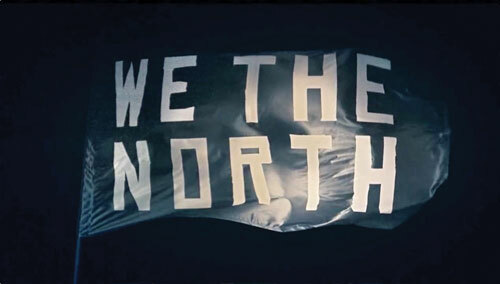 We The North is now every Raptors’ fan’s basketball mantra. The Raptors truly built a successful brand community, by first understanding that the brand’s future community will be made up of a homogenous group of people with different wants and needs. By considering the diverse possibilities of who could be in this homogenous group, the brand is better situated to serve the various wants and needs of the community, and respond to the community more effectively. To that I say, well done Raptors, well done. What do you think of brand community building? Can you think of another brand that has successfully built a brand community aside from a sports team? What do you think has made these other brands successful within those communities? Share your thoughts in our comment section.